Picture this: You spend hours writing and rewriting the perfect pitch to your favorite Instagram influencer. You share about your background, your company story, your product, and maybe include a couple of images or a video. You build up the courage to click “send” and wait to hear back. Except you don’t. Crickets. A day goes by, another day, and still no response. You start to make excuses—they’re probably super busy, maybe they didn’t get the email, maybe they’re on vacation. Let me be real with you for a second…they most likely got that email AND opened it, but your pitch just didn’t resonate with them enough to take action. We spoke with some leading lifestyle, fashion, and beauty influencers and persuaded them to share their insights on the top mistakes business owners and brand founders make when pitching influencers, and what to do instead to get a positive response. 1. Sending a generic, mass-mailed pitch. We get it, there’s not enough time in the day to get to know each influencer and their blog inside and out. But a little bit of research will go a long way and allow you to form a genuine connection that doesn’t feel like spam. Takeaway: Get personal! Address the writer, editor or influencer by name. Make your subject line and copy relatable and customize it to fit the outlet. 2. Your pitch is too demanding. Takeaway: If you’re hoping for a product placement, keep it simple! You can’t expect to have all your demands met if you’re not offering some sort of payment. 3. Expecting things for free. This leads us to the biggest struggle brand founders and influencers encounter: monetary payment. As a brand founder, you may genuinely feel that your product is awesome, and it may be expensive to produce and ship. You believe this is a fair compensation to the influencer in exchange for them to feature your product. And sometimes it is. If the product fits nicely with the influencer’s content and image and is a generous offer then the influencer will be more eager to share it. However, keep in mind that creating content, whether the influencer is in front of or behind the camera, is very time intensive and can be costly. Costs can include hiring a photographer, editor, studio, and paying for props and time is spent planning, styling, producing, editing and distributing content. All our influencers had something to share about this topic, which makes it an often debated one. Takeaway: As a young brand, you may not have the funds to pay an influencer just yet, or maybe you want to test out how a partnership works with them before making the leap into a paid collaboration. That’s ok and totally understandable! But find a way to make it a win-win for the both parties and you’ll be on your way to forming long-term relationships with influencers that will benefit you multiple times over. 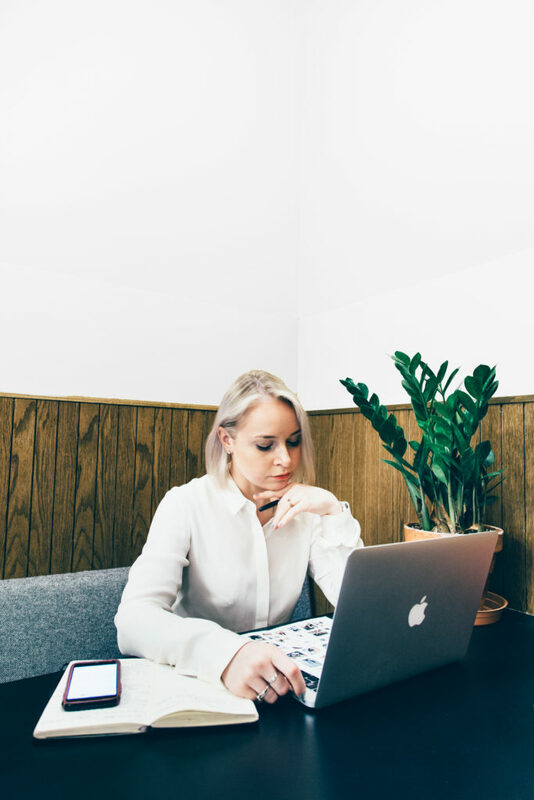 Rowland shares this tip, “If you want a blogger to do you a favor then offer something valuable in return, like payment and repeated promotion in the brand’s newsletter and social media feeds. Takeaway: A better strategy if you’re hoping for a product placement give a generous product offer to the influencer and focus on just one ask. If the product fits nicely with the blogger’s content, then they’ll be more open to sharing it. But don’t demand them to write or share about your brand or product without a paid partnership. 5. Pitching an irrelevant service or product. Takeaway: Do your research and make your pitch targeted to the influencer you are writing. Start by identifying the right influencers for your company and making a spreadsheet with the topics they cover and links to example articles. 6. Your pitch clogs up their memory space. Don’t send attachments. Adding them guarantees you won’t get a response. This is one of those things that seems like common sense, but influencers and editors see it time and time again. 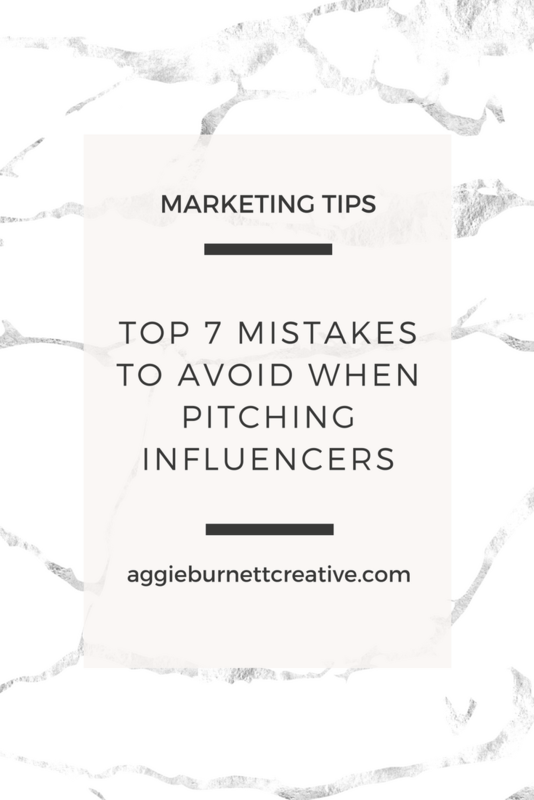 Across the board, our influencers agreed this easily fixable mistake makes for a bad pitch. Takeaway: Embed links and images, or for multiple photos, link out to your Dropbox or Google Drive file. 7. Your pitch is plain boring. What makes a boring pitch? One that is too long, has too many details, and is one uninterrupted chunk of text. Takeaway: Break up text, make your copy eye-catching, keep it short and to-the-point, and tailor your pitch to the influencer. As a publicist for start-up beauty brands, I love working with influencers because of the long-term relationships that can come of it. When I pitch a brand to an influencer, I try to find a common ground between us. I learn about them first by reading their about us page (which usually includes links to their most popular articles). I also read a couple of articles containing similar products or services to what I’m pitching. Influencer partnerships is exactly that, a partnership. Get to know the influencer a bit first and offer some value. Make it a win-win situation where it’s easy for them to say yes! Ultimately it’ll save you time in the end, and can lead to a budding friendship! Share with us in the comments below—how successful have you been when pitching influencers?